Dual alphanumeric backlit white LCD display, operator and client side. The backlight function can be removed. Thermal printer speed of 80mm/sec for normal thermal paper or for Linerless adhesive type with paper 57mm wide, and outer diameter max. 50mm. Print width of up to 48mm. System for easily loading the paper. Print function of the logo. Completely stainless steel body, dimensions 390x386x140mm (LxWxH). Stainless steel plate, 360x235mm (LxW) size. 230Vac power supply with long-lasting built-in rechargeable battery. Database of 3000 PLU's, 48 with direct access. 2 kinds of short and long term totals. Operation mode: PLU priority, single item, multi-operator tickets. Weighing tare, operator tare, PLU tare, pre-stored and configurable tare. Reopening of the last operator ticket, discounts, rebates, cash management, customer management. 2 RS232 interfaces for connection to PC, modem, scanner, Helmac cash register. RS485 interface for connection with up to 4 scales in a local network. 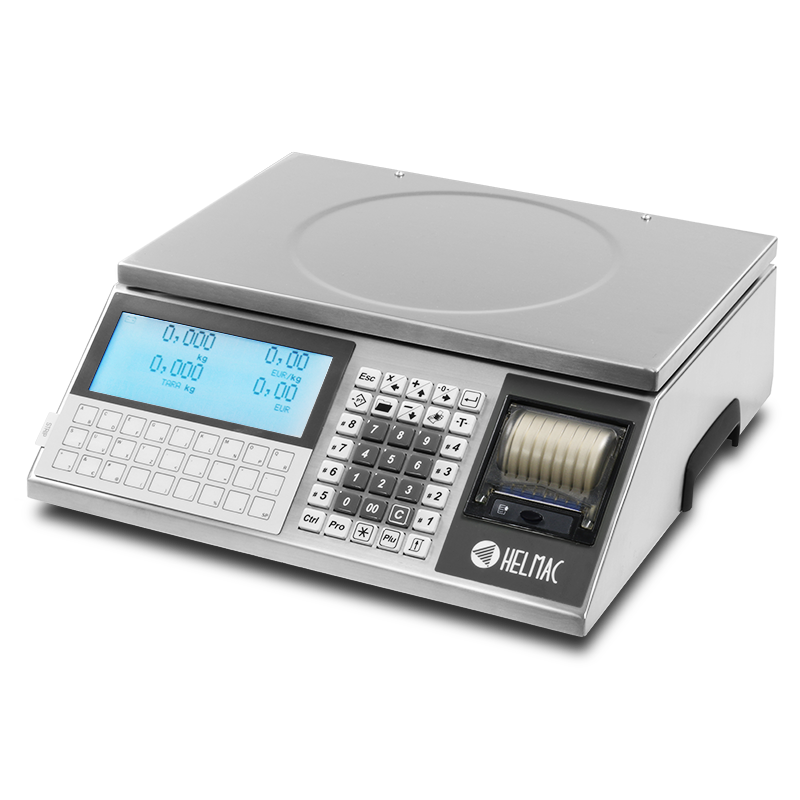 755620 GPEXT scale, 15 kg capacity, 5g division, with stainless steel structure and 360x235mm plate, dual backlit LCD display, new keyboard membrane/mechanical 62 keys and thermal printer . 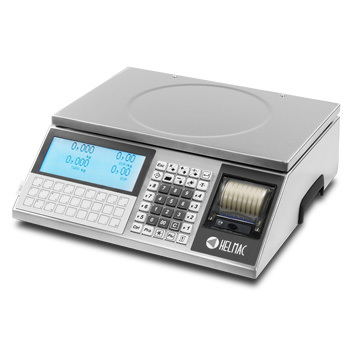 755520 GPEXT scale, 6/15 kg capacity, 2/5g division, with stainless steel structure and 360x235mm plate, dual backlit LCD display, new keyboard membrane/mechanical 62 keys and thermal printer . 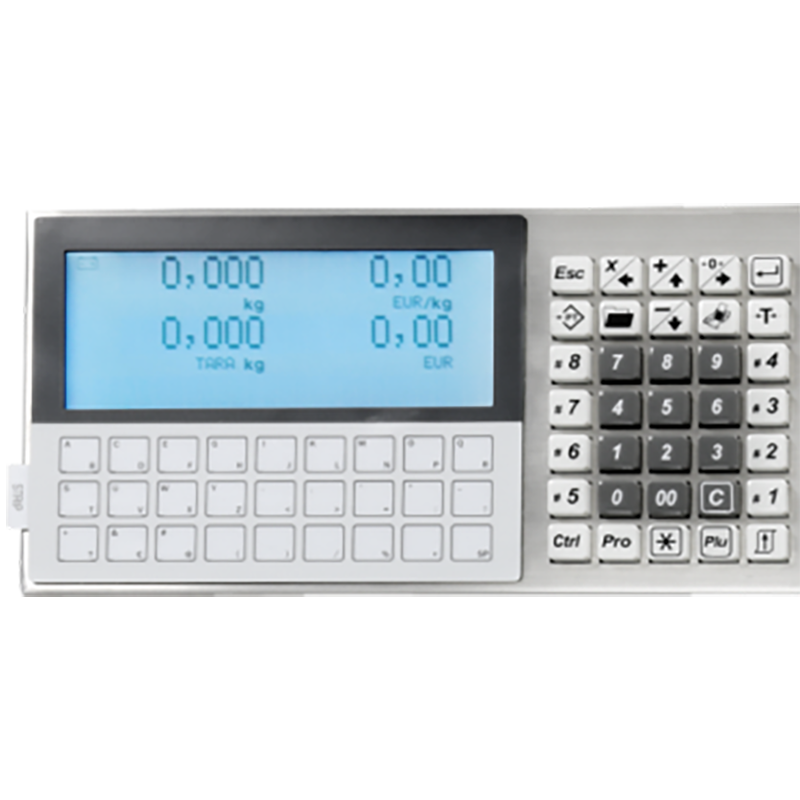 755320 GPEXT scale, 15/30 kg capacity, 5g/10g division, with stainless steel structure and 360x235mm plate, dual backlit LCD display, new keyboard membrane/mechanical 62 keys and thermal printer . 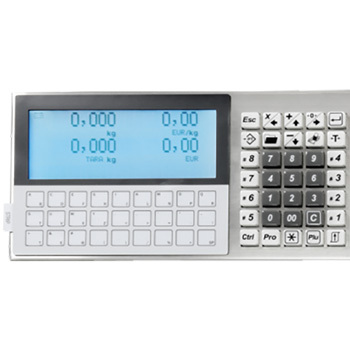 755120 GPEXT scale, 12/30 kg capacity, 2g/5g division, with stainless steel structure and 360x235mm plate, dual backlit LCD display, new keyboard membrane/mechanical 62 keys and thermal printer mounted . 810181 Ethernet WIFI module to create a scale network and connect to PC. 810117 1,5 m connecting cable for 12/24Vdc power supply for itinerant sales. 810232 Custom-made header ticket complete with logos. Note: the customisation is possible after an analysis of the Helmac technical staff. 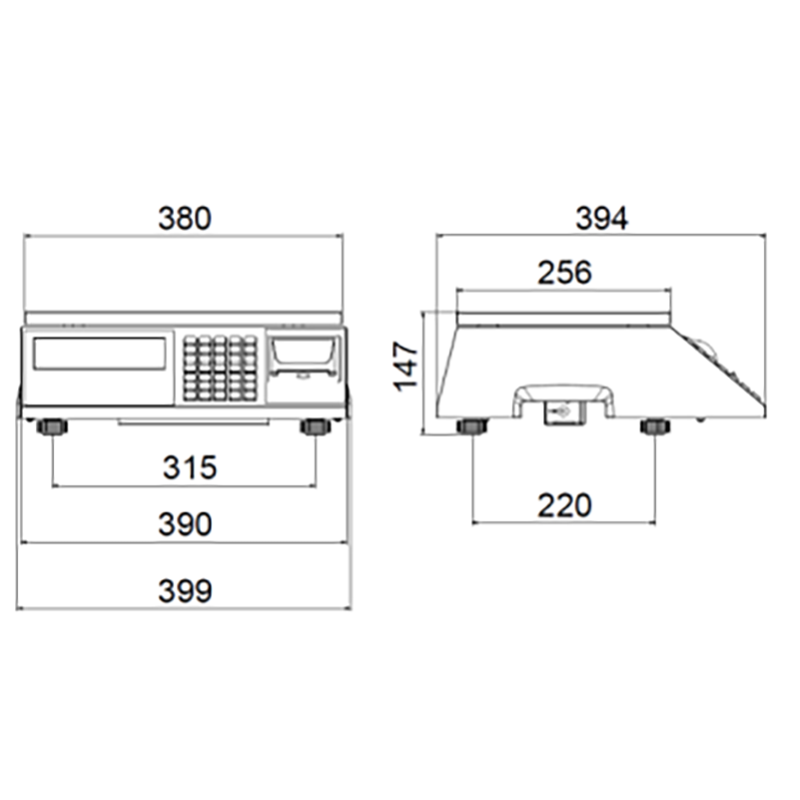 810145 Cover for the protection of the printer against water, dust and residues of weighed products. 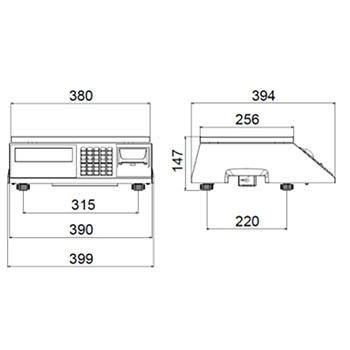 810146 Package of 5 covers for the protection of the printer against water, dust and residues of weighed products. 881007 Transport wooden case for GPEL and GPELT scale, fitted with hinges and a locking hook. Dimensions: 505x485mm. Height: 218mm.